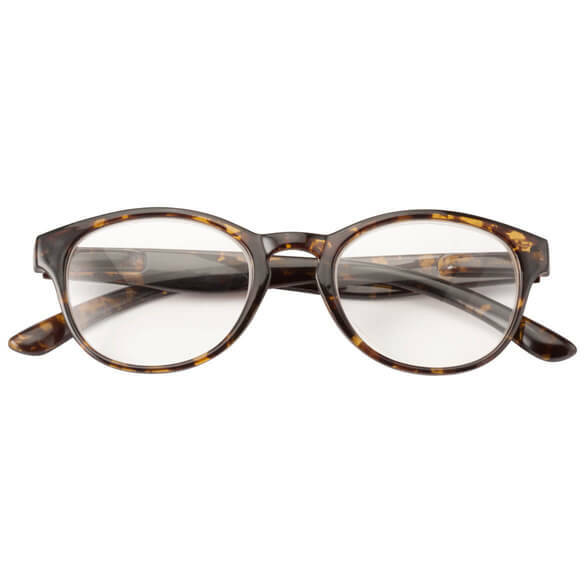 Round frame retro readers combine vintage style with modern convenience. 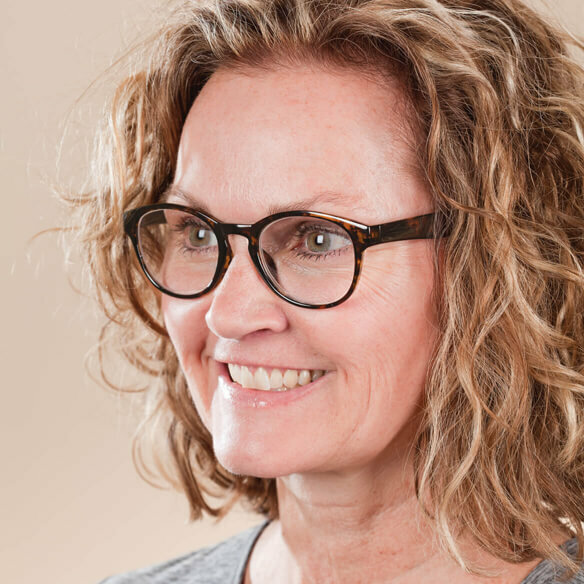 Perfect for reading and computer use, these quality reading glasses help ease eye strain and improve visibility — and they're available in 10 magnifications, even hard-to-find +6.0! Spring hinges offer a comfortable custom fit. Specify magnification: +1.5, +2.0, +2.5, +3.0, +3.5, +4.0, +4.5, +5.0, +5.5, +6.0. I love this product...I buying more! I love this product. I also like the color options. It fits me well. It's durable. It's attractive to my tastes. I want one in every room of my house, for my purse, and for my car. Thank you, Miles Kimball! size to big hsd to send for replacement. Good price and spring hinges. I chose this to give my husband for his birthday this month on 22nd day since he told me that he couldn’t find more than 3X. I liked the shape of the frame and the tortoise design. I thought they were very attractive and I could get the stronger lenses!! They looked nice and weren’t too expensive. has more magnification range than stores. I like the round shape. I have only submitted my order. It is too early to get this survey and way too early to answer. My mother has severe macular degeneration. I'm hoping these will help her. Needed a stronger version and it was available. I like the shape of the frame. Need the extra magnification for close work. 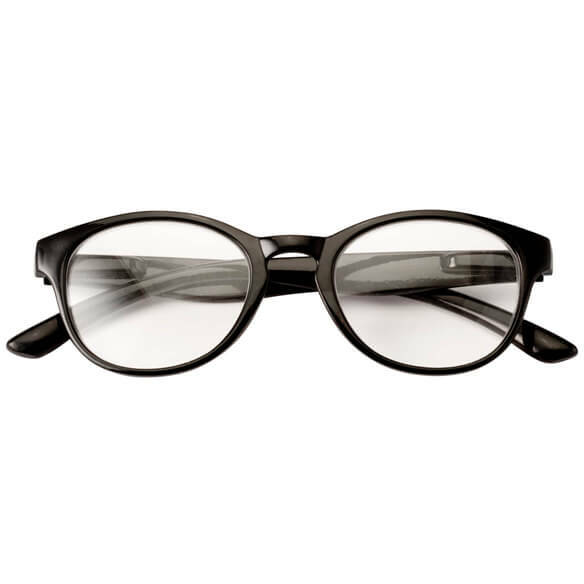 Would like to see if larger lens area helps with clearer vision. Look trendy too! I like the large lens and the simple style. Once received, I hope they'll be good quality and fit comfortably. The style. Also wanted to see what spring hinges meant. What does Retro mean? do you have multiple magnification on single pair? BEST ANSWER: Thank you for your question. Retro just means the style. The magnification is the same per pair. It can not have multiple. We hope this information will be of help to you. How do I know which number I need? BEST ANSWER: Either from your prescription or from trying various magnifications at a drugstore where they have a display of reading glasses. Even though I have a prescription for bifocals, I like to keep a pair of readers in each room, because I don't wear my bifocals all the time. Thank you for your question. It is best to know from an eye doctor. You can also test your vision at some drug stores. We hope this information will be of help to you.